Recent statistics have shown that nearly a quarter of search engine queries are now performed with voice search. Predictions suggest that it will make up more than half of searches within the next two years. The reality is that you may not be using Google voice search, but many of your customers certainly are. If you haven't at least considered offering Google voice search capability, it's time to do so. Any time you say "Hey Google, when is Father's Day this year?" or "Siri, what's the best route to Chicago? ", you're using voice search technology. It means you take the manual typing aspect out of the search process. While there are many voice search options on the market today, Google and Siri dominate the environment at the moment. The piece you need to keep an eye on is how voice search as a whole might affect your SEO efforts and search engine ranking. Semantics: Google has long since evolved past merely crawling for keywords. They look to a user's past search patterns as well, and the idea is to build a better semantic search - a better way of understanding what a user is looking for. For you, that translates to accounting for a variety of long-tail keywords that Google can easily find within your site to deliver the right search results. Customers: Keyword stuffing your content is not only ineffective, it can result in a Google penalty. What matters is that you write for your customers, both in terms of traditional SEO and voice search. Find out how customers are talking about you, and you have the terms you need to include in your content. Dump the jargon. Use the language your customers are using. If customers talk about local branches, optimize for that too. Mobile: Many of the voice searches performed today are done on a mobile devices. Google recognizes the power of mobile, and they're playing to it. You should too. If your site doesn't load well on mobile, Google will notice, so make certain you're testing it often to maintain optimal functionality. Featured Snippets: Google voice search queries are often answered in quick, convenient answer boxes. Those come from information in the public domain. 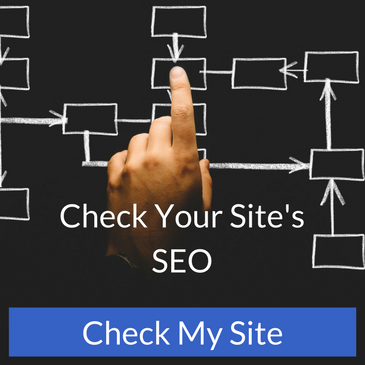 You can, however, have your content pulled in a featured snippet, which can come from any site on page one of the results. When that happens, Google gives your brand credit. This is an attainable goal, and as long as your content is easy for Google to read, you can get there. Ensure, however, that your brand name is pronounceable, because people will be hearing it, so they need to be able to understand it and remember it for later. Directory Presence: People don't just search for your company. Instead, they search for the best company in your service area in your location. For example, they might look for best Thai restaurant in Jacksonville. Optimize your Google My Business listing. Do the same for your Bing Places for Business. Make sure they're both 100% complete. Beyond that, you may want to may want to work with big name directories like Yelp because other big name voice search competitors, including Amazon's Alexa, utilize options like that to offer search results. More than anything else, ensure your information is correct across the internet. You want a consistent address and phone no matter what device a customer is using for voice search. This will also help boost your search engine ranking. Google voice search and other voice options will change the internet. Your best bet is to mobilize your voice search SEO efforts now and put them to work before your company gets left behind.